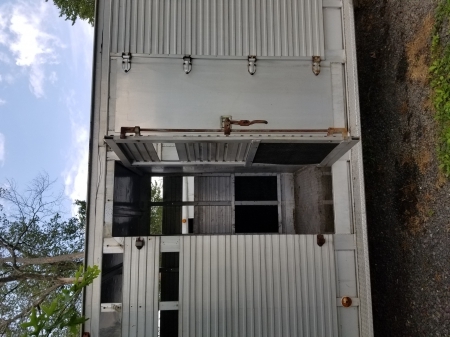 Selling because owner passed away...…….. Aluminum Stock Trailer, in Good condition. 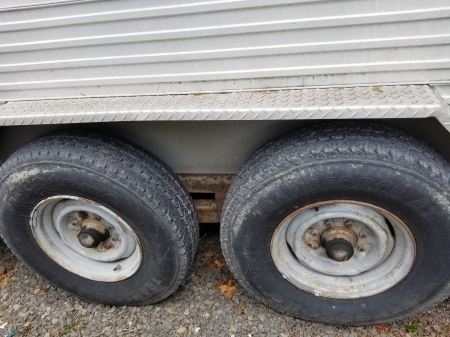 New Tires, lightly used. Hauls great! Roof Rack that needs plywood or base on the rack. I had plywood at one time. Ladder to the roof has a kink in it. Could be straightened out. 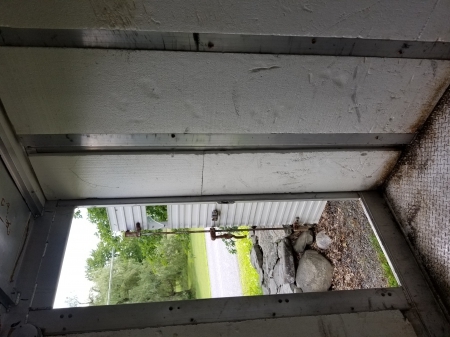 Dressing room used to have insulation and paneling, owner took it all out. 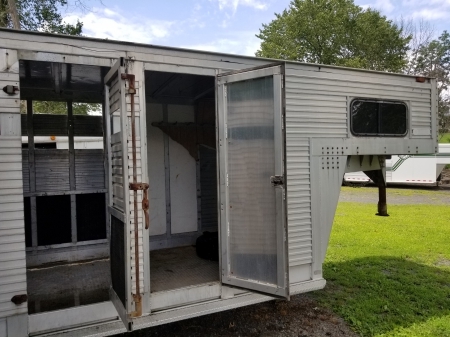 Outside Dimentions: hitch to back end 35 Feet Outside width: 8 Feet Inside Length: 22 Feet Inside Width: 81 Inches Inside Height: 7 Foot This trailer will haul 10 horses head to tail or mares with foals. 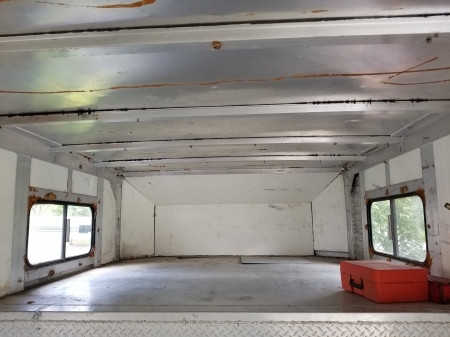 It has 2 box stalls with center divider. All lights work, bearing are greased, brakes are good and working, and new tired. 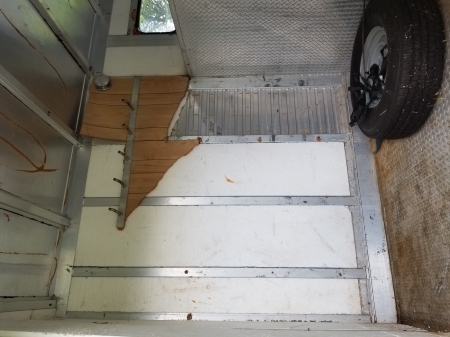 You won't find a Barrett trailer with limited mileage in this condition for less. 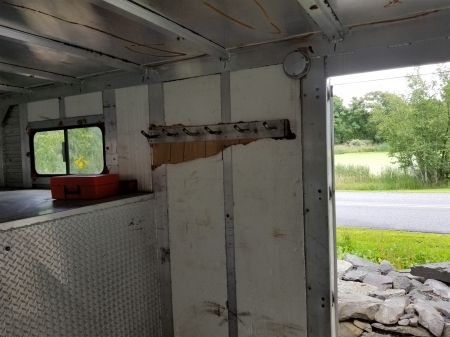 Needs the safety emergency brake box that is on the gooseneck, someone stole the one that was on it.